Energy Booster used while testing. If in some cases your own energy is insufficient high to do energy test work it is possible to raise your energy with this EnergyBooster so you will be able to test. 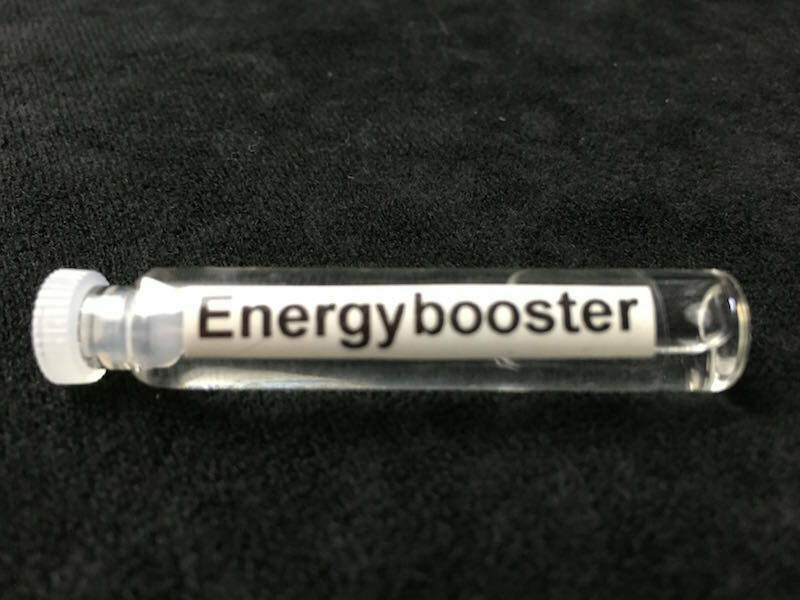 The price for this Energy Booster is only € 7,50 Please check out our other accessories to. Warning: If your energy is insufficient to test there always is an urgent need to investigate and correct this and not only trust upon the EnergyBooster since this is NOT a permanent solution. EnergyBooster is only to be used as a temporary measure if there is no other solution at hand at that moment.